A good reading can provide clarity and empower you to make life choices that work for you. HOW ARE MY READINGS DIFFERENT? I encourage you to use your free will and listen your own intuition. I help you uncover blockages preventing your success and guide you to make empowered choices. Like other psychic readers, I do provide predictions and put a strong emphasis on giving validating information (i.e. truths that only you would know). However, my core intention is to provide you with a sense of clarity and personal empowerment. Intuitive Life Readings are comprehensive life readings. They assess where you are right now and where you may be heading in the future. /// Would you like to get clear about a present situation? /// Want to find out where you are headed? /// Do you need to identify what is holding you back? /// Would you like a spiritual solution for a problem you are facing? Mediumship Readings provide messages from loved ones who have crossed over and your angels and spirit guides. During this type of reading, I deliver messages from the other-side to you. /// Would you like to receive messages from loved ones on the other-side? /// Do you feel like you have received a sign from the other-side, but want some extra validation? /// Are you seeking additional guidance from spirit guides and angels? Email Readings are written readings delivered to your inbox. They provide an overview of how you can shift your perspective right now for the best outcome. They are card-based readings, which means I tell you what the cards reveal rather than provide specific details about your circumstances. [If you are looking for a reading where specific details are covered, I suggest an Intuitive Life Reading.] However, if you want quick uplifting guidance, an email reading is perfect! After you purchase a session, I will intuitively choose a card deck to use for your reading. I will pull three cards for you and type up a two-paragraph email. You will receive your reading within 48 hours of purchase. /// Would you like immediate guidance about a situation? /// Do you need a little spiritual pick-me-up? /// Are you wondering how you can shift your perspective for the best outcome? Where are you located and how do I get a reading? My readings are done over the phone or through Skype. Phone readings are just as good as readings done face-to-face. Click here, select the service you’re interested in, and pick a time that works for you. Don’t forget to provide a phone number (or Skype username if you’re located outside the U.S.), so I know how to reach you on the day of your reading. What happens after I schedule a reading? You will receive a confirmation email with your date and time. Then, I call the phone number provided (or Skype if you’re international) on the day and time of the reading. What if I want to see you in person? If you’d like to see me in person, I do readings at various psychic fairs around Pittsburgh and Cleveland. Check my events page to see if I’ll be near you soon! All rates for services are listed when you click to schedule an appointment. Prices are in USD. How often should I schedule a reading? Intuitive Life Readings can be scheduled 6 months apart or once a year. You can schedule another reading sooner than 6 months if a major life event occurs. Mediumship Readings should be performed less frequently — no more than once a year. Do you read for groups or parties? I am currently not doing group readings or parties. Am I able to record our reading? At this time, I do not allow recordings; however, I encourage clients to take notes during the session. 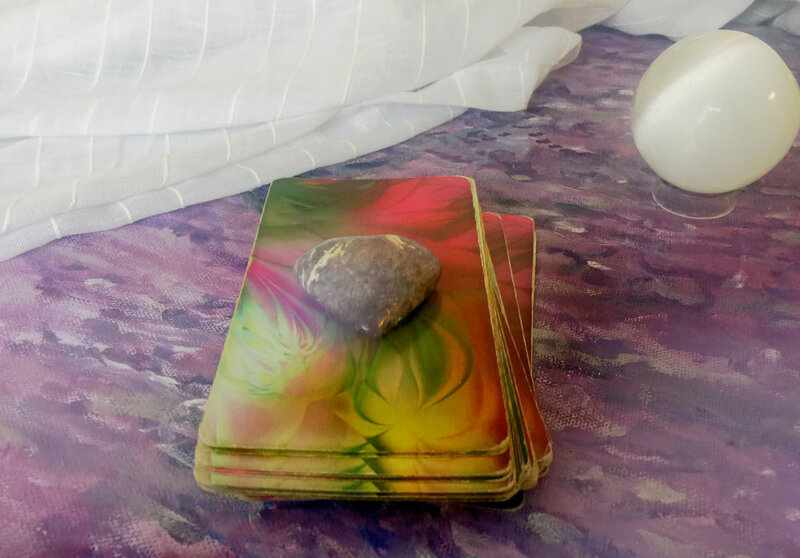 If I do not feel there is a strong intuitive connection, I let you know, stop the reading within a few minutes, and send you away free of charge. I take what I do seriously, and am honored to do this work for you. By setting up a session, you acknowledge you have read, understand, and agree to my disclaimer.